"In loving memory of a wonderful man,who lived and loved..."
Oscar L. Anders, Jr., a loving husband and father, went to be with our Lord on the morning of September 4, 2018. Oscar was born in Memphis, Missouri on September 5, 1931, the son of Oscar L. and Emma Flo (Clifton) Anders. He graduated from Downing High School in 1949. Oscar met the love of his life, Laurene Brown, at the roller skating rink and they were married in 1954 at Akron, Colorado. 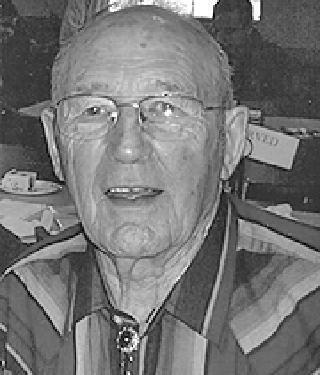 Oscar was a farmer, a veteran of the Korean conflict, a handyman extraordinaire, and worked road con-struction/heavy equip-ment in Colorado, New Mexico and Wyoming which led to his career with the Colorado Department of Transportation. He also served on the Sanitation Board of Fountain, Colorado and sold real estate for many years. Oscar was an avid fisherman and loved to hunt. He is survived by his wife, Laurene Anders; children, Michael (Barbara) Anders, Linda (Bryan) Penfold, and Carolyn Anders; grandchildren, Molly (Daniel) Uffelman, Benjamin King Anders, William Penfold, and Emily Penfold; and great-grandchildren, Cameron and Madelynne. Also surviving are nephews and nieces, including Eugene (Barbara) Winn, Margie McFarland, Sharon (Randy) Johns, and Coleen Farley. Oscar was preceded in death by his parents; three half-sisters, Jewel Winn, Opal Byrn, Marjorie Vasquez; and one half-brother, Wilford "Jake" Anders. A visitation will be held on Thursday, September 13, 2018 from 6-8p.m. Funeral services will be held on Friday, September 14, 2018 at 1 p.m. In lieu of flowers, memorial gifts may be sent to Fountain Valley Baptist Church, P.O. Box 237, Fountain, CO 80817.